Visit Claphams Clocks, New Zealand's national clock museum and experience the intrigue of a building filled with more than a thousand ticking and chiming clocks and like-gadgets that trace the human development of time keeping, believed to be the largest collection of clocks in the Southern Hemisphere. Take a guided tour around the Whangarei museum, or take a few minutes or maybe some hours and enjoy it at your own pace. Open 9am to 5pm daily (closed Christmas Day). 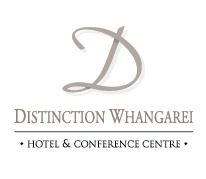 Located at the Whangarei Town Basin, 10 minutes walk from Discovery Settlers Hotel Whangarei. Adults $10 l Children $4 l Senior/Students $8 l Family concession, 2 adults and up to 4 school age children - $ 20 | Groups over 10 persons - $ 6 pp.